Looking for a quick way to clean up? Cleaning wipes are convenient and easy to use, not to mention effective. There are different sizes of cleaning wipes available depending on the surfaces you need to clean. From wipes for your car, window, or electronic device, these can save you time, money and hassle. Best of all, you won't have to lug a bottle of cleaner and rags with you -- the cleaning agent and a sturdy wipe come in one, convenient wet wipe. Just wipe away and toss it away! 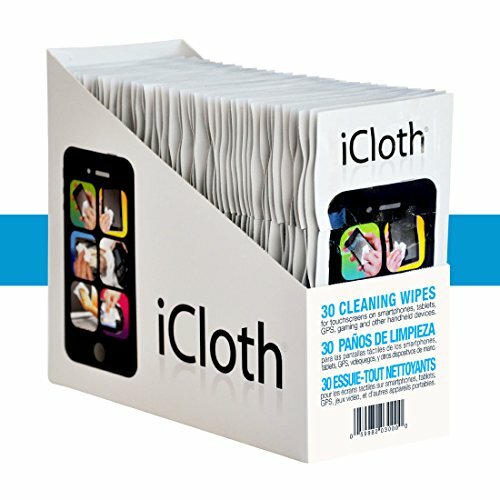 This is our iCloth Cleaning wipes with Advance Microfiber Cleaning Technology for you. When fingerprints, dust, smudges, and splatters start showing up on your LCD Screen, gadgets, screens protector, glass cover, windshield, smartphones, tablets, lenses or Other Electronic Device, it's time for a wipe-down. iCloth Cleaning wipes make it easy to give glass surfaces a quick clean without having to spray Windex or another glass cleaner all over the surface. You don't have to use extra paper towels, just grab the wipe and start using it. Our iCloth Cleaning cloth wipes have enough liquid that you can get quite a long use out of each wipe. When you choose iCloth: You'll activate iCloth's "Empty-box Guarantee": Your complete satisfaction with every single wipe in the box. Guaranteed. Period. You're looking for details? iCloth features: One-step screen wipe is individually pouched for maximum convenience /Custom-sized & pre-moistened for a consistent clean every time/Repels oil & grease - screens stay cleaner longer/Safe water-based formula + isopropyl alcohol +proprietary ingredients/Meets rigorous avionics, military & healthcare specifications/The right size for the right job: Available in regular, large and extra large/Issues or Questions? Reach out! We care.